The environment in which cataloging principles and standards operate has changed dramatically. The development of automated systems for the creation and processing of bibliographic data, the growth of large-scale shared cataloging programs, and emerging technologies have created new opportunities to provide access to national and international academic library collections. However, economic pressures have also prompted libraries to try to simplify the cataloging process, using “minimal level” cataloging records in order to keep pace with the continued growth of publishing. 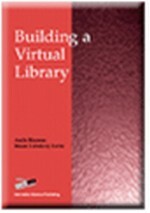 Cataloging librarians have identified two significant needs: 1) to adapt existing [cataloging] codes and practices to accommodate change resulting from new forms of electronic publishing and the advent of networked access to information resources, and 2) to respond more effectively to an increasingly broad range of user expectations and needs. München (1998) wonders how catalogers will guarantee the quality and relevance of bibliographic access within the exploding world of online materials. If so, what kind of bibliographic records will be required to meet the different uses and user needs? Finally, how should these bibliographic data be organized and structured for intellectual and physical access to the documents? This chapter will provide an overview of current cataloging principles, issues in handling evolving formats, and challenges for academic catalogs. It will include a brief examination of a model created by a large multi-campus urban university in determining best practice in the creation of records for shared, online academic environments. Finally, the chapter will look at the development of alternative frameworks for describing online resources.